So much for Bundy Ranch Redux: The big Oath Keepers rally outside the BLM offices in Medford, Oregon, on Thursday was a real snoozer. The big rally outside the Medford, OR, BLM offices on Thursday. At issue is a dispute between the BLM and the owners of the Sugar Pine Mine near Merlin, Ore., who were given a "letter of noncompliance" last spring telling them they either needed to clear out of the mine within 60 days or file an appeal of the ruling that they were not in compliance with BLM mining regulations. 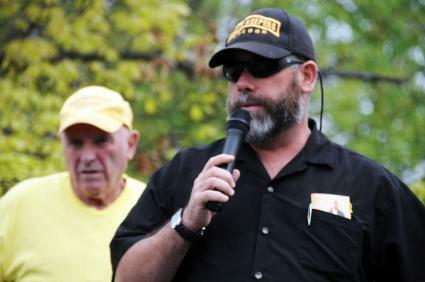 What followed was a nationwide callout to defend a couple of miners in imminent danger of having their constitutional right to due process destroyed by the BLM, according to the local chapter of the Oath Keepers that made the plea. 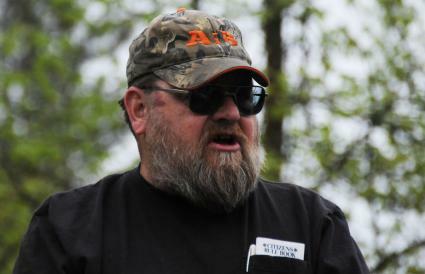 And they called it a “security operation” because owner Rick Barclay insisted that the BLM was notorious for burning down miners’ cabins in the backwoods, and he believes they would have destroyed his mine if he had not called for help.